6. 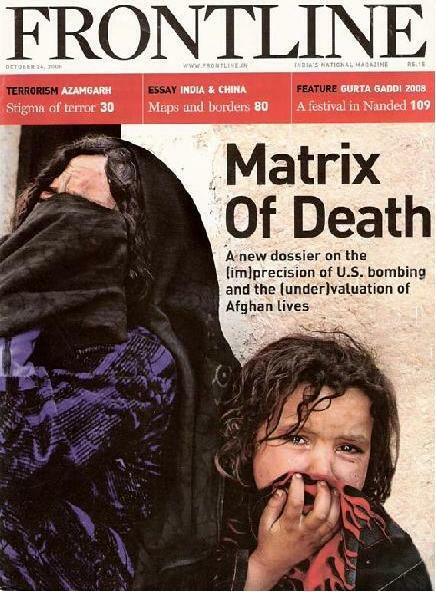 The U.S mainstream media, especially television (e.g., CBS News’ Lara Logan) and talk radio but also the Associated Press wire service, has played a major role in confusing the American general public about the reasons for and the execution of America’s Afghan war. Where are all the photos of those obliterated and/or maimed by U.S troops? 10. History tells us very clearly that the single most important factor which motivates a U.S withdrawal from a conflict soon is escalating U.S. military casualties. The lessons from Indochina (1965-75), the Lebanon bomb attack which killed 241 US troops (1983), Somalia’s Blackhawks down (1993) are clear for all to see. I wish to focus in my talk upon the execution of (not the rationales for) war and on the effects of this U.S-led war upon Afghanistan and its people. A fully referenced version of my talk is coming up on RAWA’s web site as I speak. Let me begin with a brief comment. As all marketing accepts, words matter and we thus need to struggle which meaning dominates. Let me give you two examples: the U.S/NATO presence in Afghanistan is not about peace-keeping but rather about a foreign occupation; and those fighting such occupation are neither terrorists nor insurgents but rather the resistance (though maybe not our preferred type of resistance). A strange thing happened during the last twenty years: any force opposing U.S. geo-political designs around the world is now labeled terrorist. As Mike Davis so tellingly pointed out, the car bomb or suicide-bomber is the air force of the poor. The Axis armies of mid-twentieth century were never labeled terrorist. 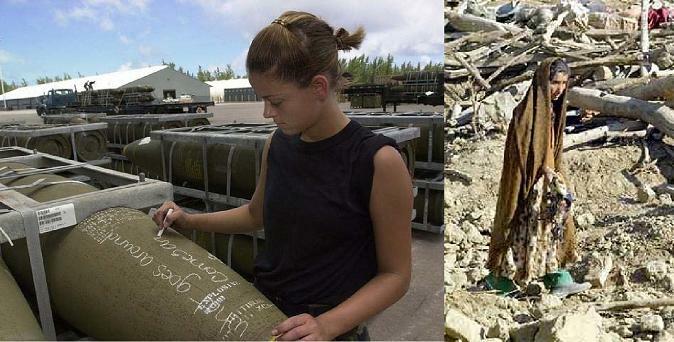 You see this war is as much about words, meanings, images and information as it is about IED’s and GPS-guided bombs. Source: Herold, Matrix, op. cit. Were an Afghan compensated for according to the traditional Afghan practice of the Diyat, the amount would approach that paid out (in PPP $’s) by the United States to the family of a victim of the Iranian Airbus shooting-down in 1998. 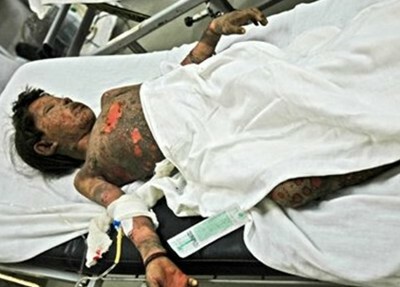 Instead, the U.S, military distributes a condolence payment one-fifteenth the amount offered to the family of an Iranian victim. Lew Rockwell noted that Americans believe they are the chosen people (expressed in more academic terms as an alleged “American exceptionalism” meaning a belief that the U.S. has a special world historical role to play ). Others have argued that the USA suffers from a pathological narcissistic personality disorder. Hence, an American life is higher on the scale of human civilization than say that of an Afghan, Indian or Iraqi. In order to preserve lives of American soldiers a trade-off is implemented: the U.S, military simply relies upon air strikes instead of ground forces as the former entails essentially no risk whereas ground combat in difficult, foreign terrain like Afghanistan is treacherous. In other words, certain Afghan civilian casualties are traded-off for sparing the lives of U.S. ground soldiers. America’s Afghan war has been particularly deadly for innocent civilians. Source: Herold, Matrix, op. cit. Laos’s data from http://www.zmag.org/znet/viewArticle/17848; Yugoslavia and Rolling Thunder data from Kaplan (1999); Cambodia data from Ben Kiernan; Iraq Gulf War casualties reported by Iraqi civil defense authorities. The Table 3 above documents my fourth point: the reduction of U.S aerial strikes ordered by General McChrystal has led to a precipitous drop in the ratio of civilians killed per occupation soldier – from 3.7 for the first half of 2009 to about 0.8 during July-August 2009. In effect, in order to maintain a fracturing NATO coalition in Afghanistan, McChrystal was forced to field more U.S ground forces and absorb far higher levels of occupation soldier casualties. This point is enormously important as it confirms what I have long been arguing: U.S aerial strikes were a chosen way of minimizing U.S casualties at the expense of Afghan civilian deaths and injured. In other words, a conscious self-serving U.S decision was made to impose undue harm upon Afghan civilians. That is a war crime. 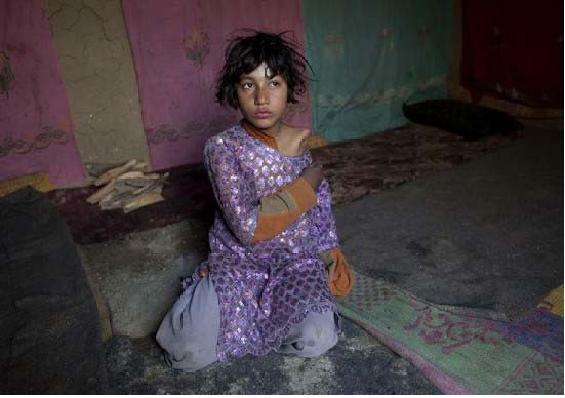 Moreover, as I have long argued and documented, some 60-70 percent of Afghan civilians killed by U.S and NATO forces have been women and children . That is another war crime! My fifth point deserves little elaboration. Obama has ratcheted up the American-led war upon Afghanistan, proclaiming it to be a “war of necessity.” Evidence for escalation includes a major surge in U.S occupation forces and extending the war into the Pakistan border regions with U.S drone strikes. U.S occupation forces numbered 52,000 uniformed personnel and 68,000 contractors in Afghanistan in March 2009 according to the Congressional Budget Office, to which now needs be added Obama’s extra 14,000 and McChrystal’s additional requests of 40-60,000, making 174-194,000 (far exceeding the Soviet’s’ 115,000 peak). The drone strikes are contributing to the further destabilization of Pakistan and the rapid growth of the forces of radical Islam. The equation is simple: drone strikes which kill recruit future suicide bombers, merely serving to promote a future of war without end. The weak link in Obama’s escalation is Old Europe and Canada. These governments are increasingly wary of such war without end, all the more so as the aim of this war remains ill-defined. These countries’ leaders unlike Obama are no embracing the sunk-cost fallacy (escalating in “order to get the job done”). The Al Qaeda attacks in London, Madrid, etc. need not be planned in the Afghan-Pakistan area, but can be concocted in Florida, Hamburg, Yemen, etc. If Old Europe withdraws its occupation forces, the U.S. will not be able to continue its large-scale ground war – token numbers of ill-trained Estonians, Mongolians and Macedonians will not do. 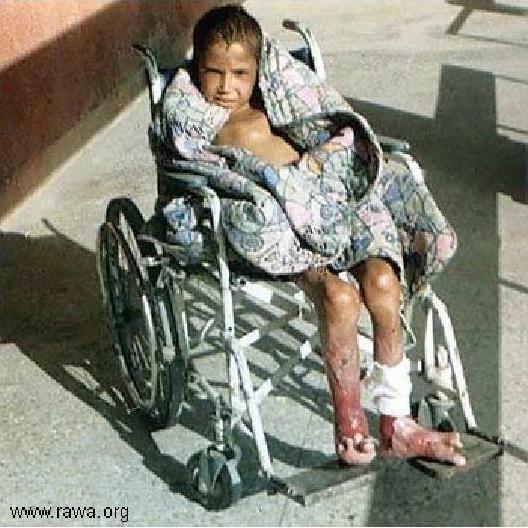 Mohammad Khan, 9 years old, son of Sher Afghan was wounded on Nov.11, 2001 when a U.S B-52 war plane dropped a bomb on Korang village of Surkhrod district in Nangrahar province, south of Afghanistan. He is suffering since past 3 years and due to poor health care facilities he never recovered from the painful wounds. The photo was taken on Dec.12, 2004 when he was visiting a hospital in Jalalabad city. 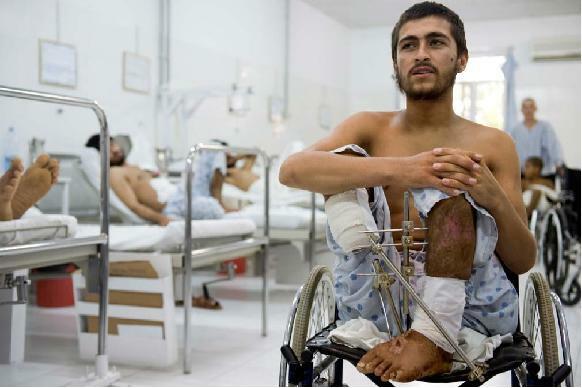 Photo of U.S/NATO bombing victims in the Italian Emergency Hospital in Lashkar Gah, July 2009. Photo by Naoki Tomasini provided to me. A steady chorus has been maintained by the humanitarian imperialists – enamored with nation-building – who use human rights to sell war. Charter members of this group include Human Rights Watch, Sarah Chayes, the Carr Center at Harvard, Samantha Powers, Code Pink, and many of the guests on National Public Radio. They dream of an idyllic end-game where jolly Afghan farmers labor in cooperatives producing the likes of pomegranates or saffron for export in an Afghan countryside dotted with girls’ schools. For such a vision to be established would require the occupation of the countryside. That would involve half a million reliable (presumably NATO) troops – the Vietnamese were far better-trained and much more numerous in 1974-75 and could not prevail. 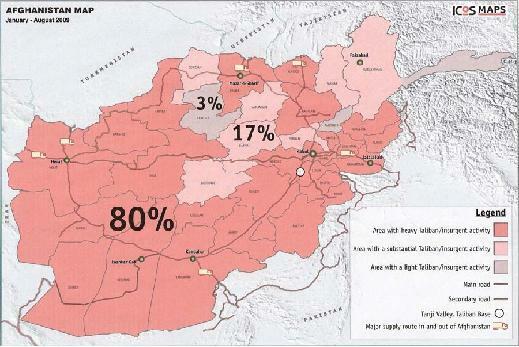 In the interim, the Taliban & Co. sow sufficient violence in order to keep large areas of rural Afghanistan – estimated now at around 80% of the countryside – off-limits to reconstruction. The U.S. policy of setting up Provincial Reconstruction Teams which blend military and civic activities has served to make all reconstruction appear part of counter-insurgency. Such reconstruction efforts thus became targets. You will recall that Medecins Sans Frontieres left Afghanistan in 2004 for that reason despite having been present during the 1990’s and the Taliban years. We can thank America for having blurred the boundary between military operations and pure humanitarian efforts to aid the long-suffering Afghan people. I close with three interrelated points: the American-led war has failed; the only option is to exit as soon as possible; but, sadly, if history provides a lesson such a U.S. exit will not take place until the level of U.S casualties reaches a magnitude which spurs a level of popular opposition to the war that the Obama administration will be forced to act. The only solution is for the U.S. to withdraw as soon as possible just as the Soviets did in early 1989. Even conservative columnist George Will agrees. Certain myths have been cultivated to counter calls for immediate withdrawal. Gen. Stanley A. McChrystal, who commands more than 100,000 US and international forces, has endorsed a counterinsurgency strategy that views the Taliban as a collection of armed groups with different political and economic objectives. McChrystal believes that an additional 40,000 US troops would make it easier to divide the Taliban and wean a significant number of Taliban fighters away from the insurgency. In fact, it is the international coalition that lacks clear direction, and it is Taliban forces that currently have the strategic initiative. The Taliban have demonstrated an increasingly coordinated and centralized approach in their tactics and operations over the past several years, and there is ample evidence that the Afghan population recognizes this fact and has provided greater support to the insurgency. Conversely, the US offensive in Helmand this summer, which involved nearly 20,000 troops, failed to weaken the Taliban on the southern front; the British offensive there three years ago also failed. Secretary of Defense Robert Gates’ belief that a significant number of Taliban forces can be brought to our side is dead wrong, and this is the kind of wishful thinking that appears to be central to McChrystal’s counterinsurgency strategy. The Taliban may not be monolithic, but they have political control of their forces. Increasing US forces will likely strengthen the Taliban and enhance Taliban recruitment efforts. The Biden approach of relying mostly upon drone strikes targeting alleged Al Qaeda targets in the border areas would further inflame the Pashtuns living in these areas. The Pashtuns and radical Islamists are helpless against the drones and hence revenge would have to be taken out elsewhere, such as in India (Mumbai), Europe (Madrid, London) or the United States. The asymmetric drone warfare would elicit a repeat of 9/11. But, in my view, none of the reasoning above will encourage the Obama-led occupation of and war in Afghanistan to end. The only thing which will, history has clearly shown us, is when the number of U.S casualties (dead and injured) reaches very high levels as occurred in Indochina after the Tet offensive of 1968, in Beirut in 1983, and in Somalia in 1993. This brings me right back to my beginning point: some bodies matter much more than others in the United States. Regardless of their bodies, when the numbers of ours mount, a U.S war ends. 2. In his “Times to Watch the Watchers,” The Nation [September 26, 1994]: 304. 8. Snake and nape refers to in the typical Vietnam close air support load of “snake and nape” (250-lb. Mk-81 Snakeye bombs and 500-lb. M-47 napalm or “nape” canisters). 25. A classic statement on the topic of humanitarian imperialism remains Jean Bricmont, Humanitarian Imperialism: Using Human Rights to Sell War (New York: Monthly Review Press, 2006), 192 pp.